Holiday breakfasts can be tricky. On the one hand, you want something that feels special. On the other hand, the main-event meal comes later in the day, so you want to save your kitchen energy and patience for that. 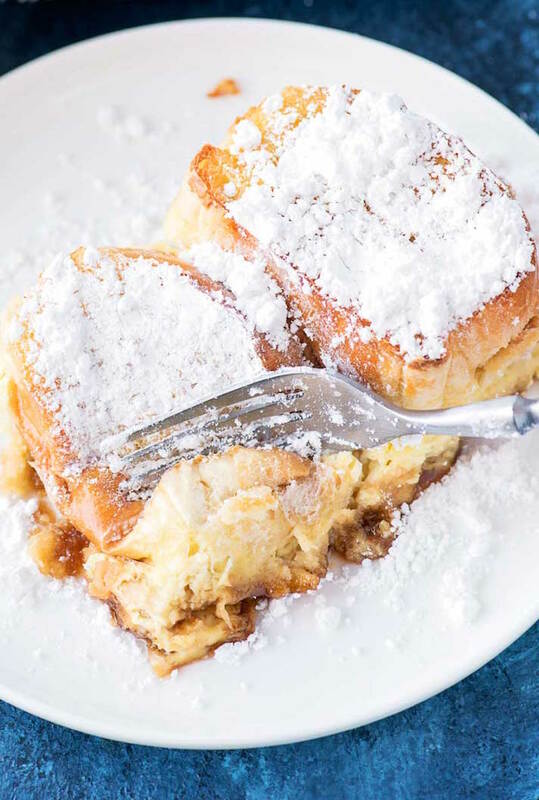 Luckily, there’s one breakfast option that’s both festive and easy to throw together for a crowd: French toast casserole. 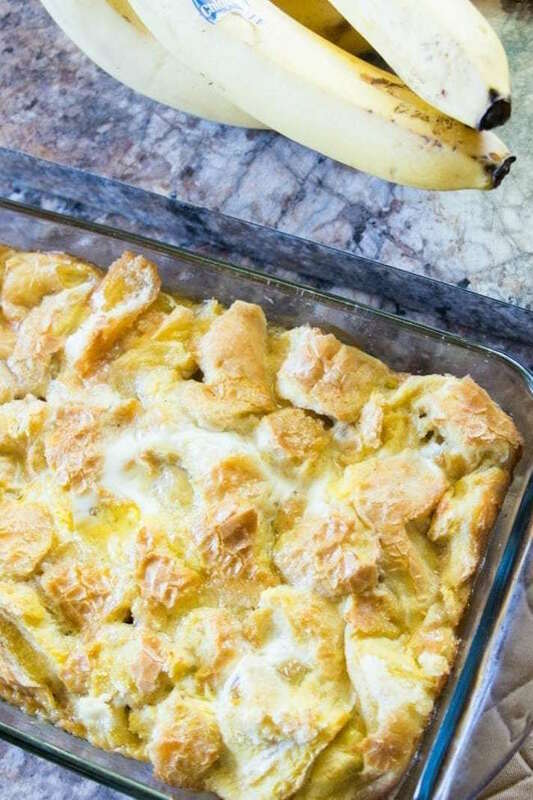 Essentially, French toast casserole is a baked version of the stovetop original. Ingredients are combined in a casserole dish (or sometimes, a slow-cooker) either immediately before baking or overnight, then baked in the oven until the center of the casserole is moist and fluffy, and the top is just slightly browned. The end result tastes even better than traditional French toast, too, because the bread gets the chance to really soak up all the liquid and the flavors as it cooks. 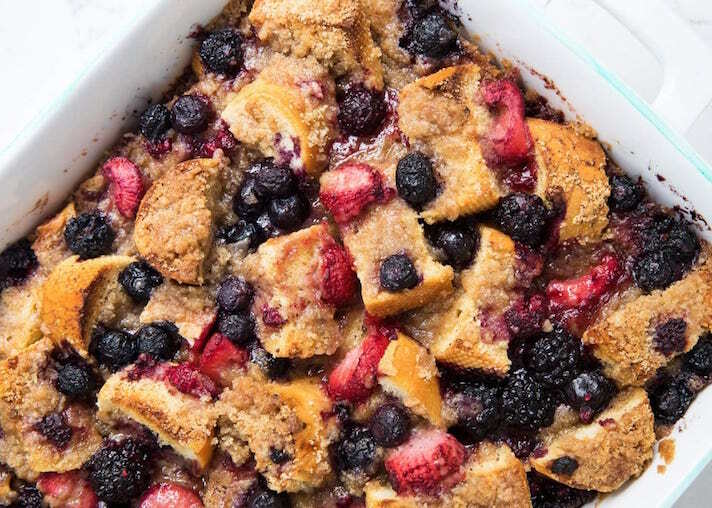 No matter how you like your French toast—plain, with fruit, with chocolate, or even made out of something other than sliced bread—it’s easy to turn it into a casserole. 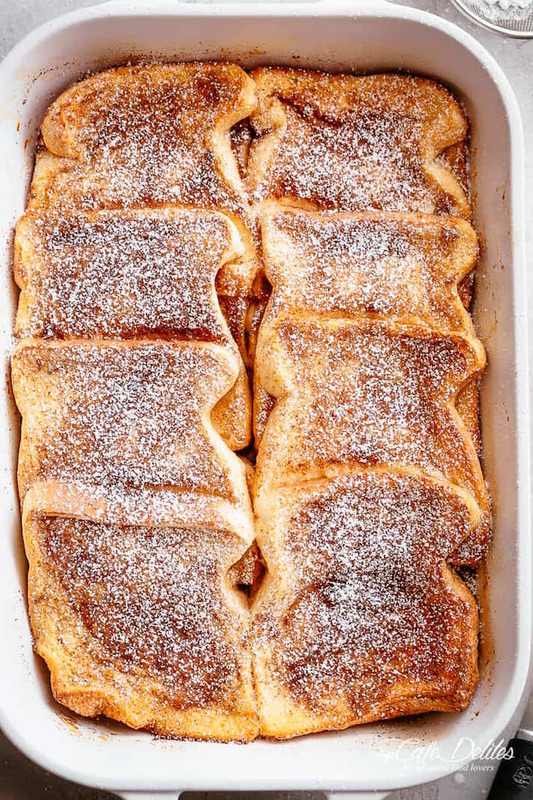 Below are 14 delicious baked French toast recipes that won’t add any extra work or stress to Easter morning. This bananas foster French toast is practically a dessert. But hey, it’s a special occasion. 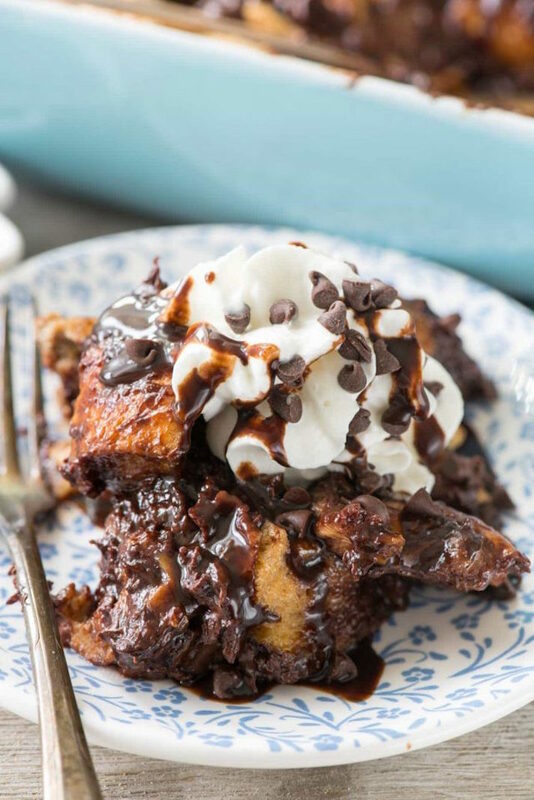 There’s an awful lot of chocolate in this French toast casserole, but I doubt you’ll get any complaints. 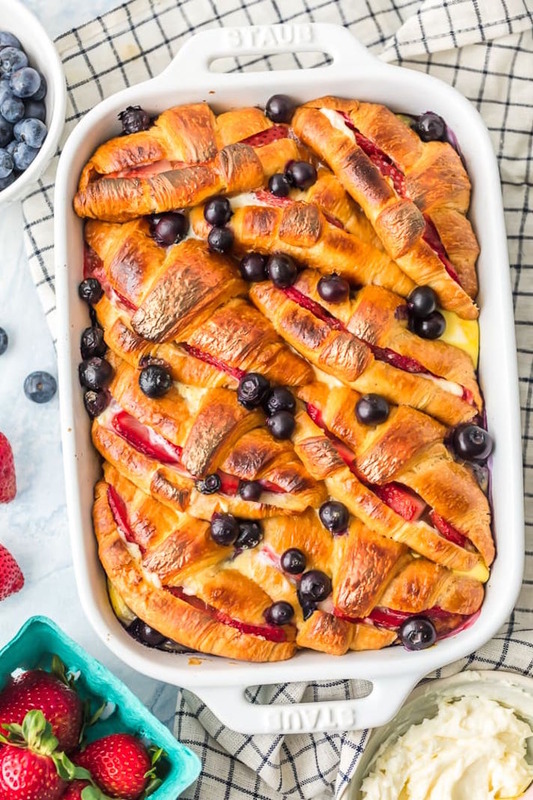 Croissants are good on their own, but great in a berry-filled casserole. This brown sugar casserole is a little nutty, thanks to being studded with sweet pecans. The presentation of these French toast roll-ups is on point, as is the cheese-and-bacon filling. 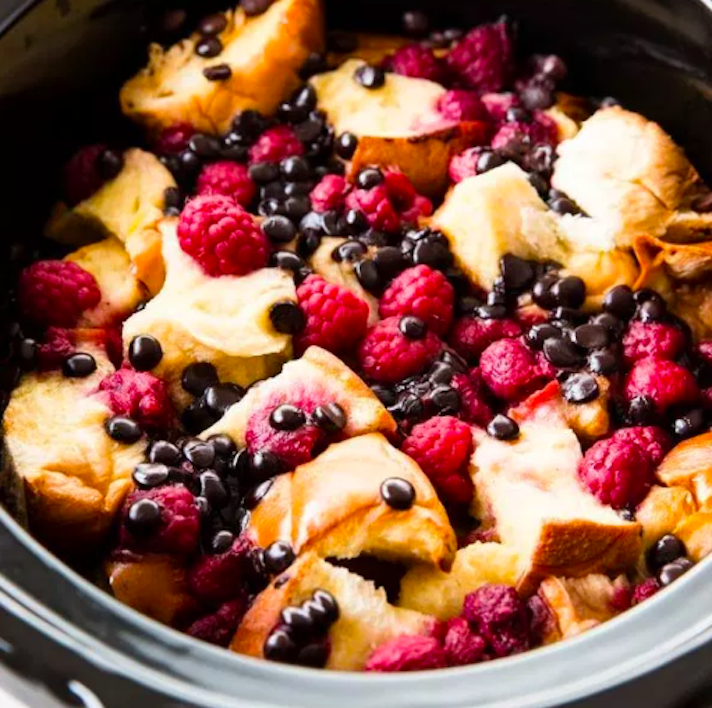 Frozen berries work great in this overnight French toast, so don’t worry if you can’t find fresh ones just yet. Overnight french toast is easy, but slow-cooker overnight French toast is even easier. 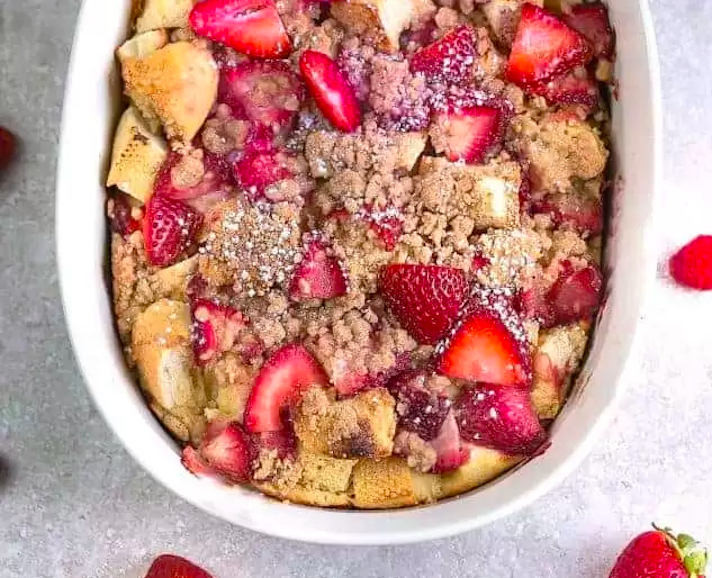 The crumb topping on this strawberry and cream cheese bake really takes it over the edge, but you can leave it off it you’d rather a less-sweet breakfast. 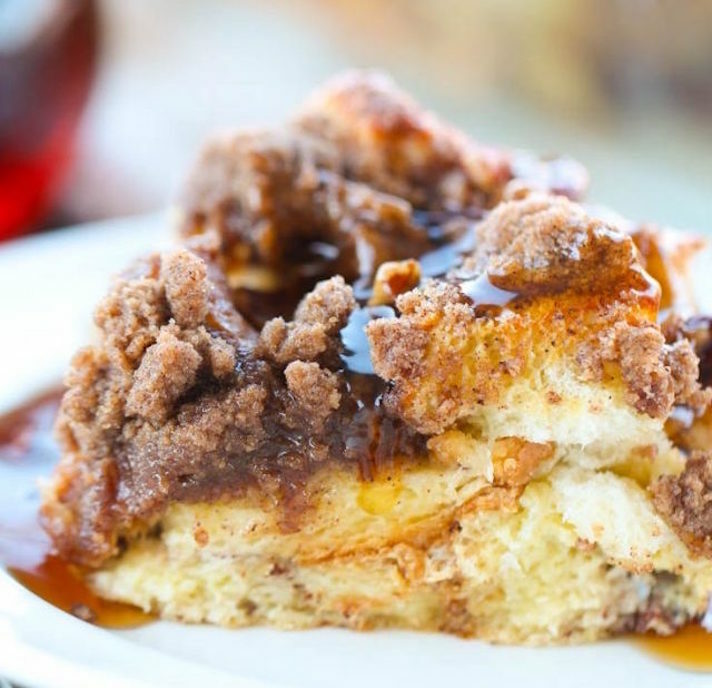 This slow-cooker casserole might be the best use of canned cinnamon roll dough I’ve ever seen. 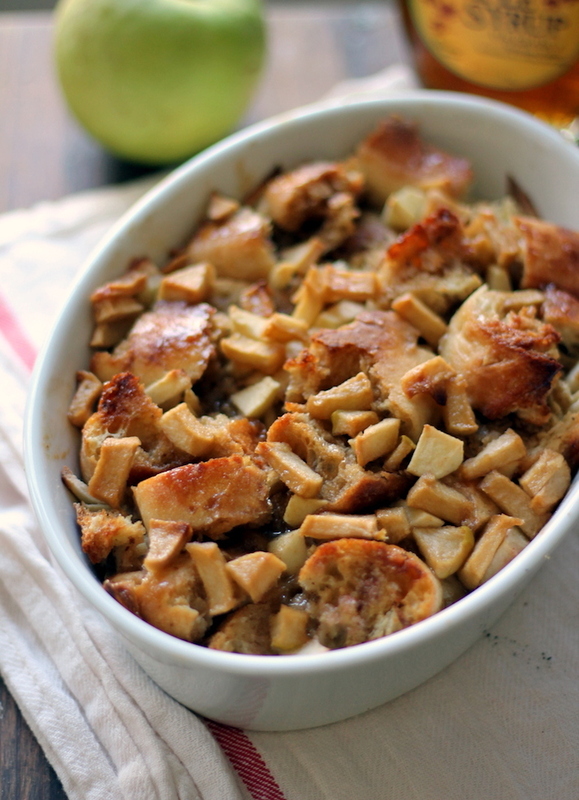 It may not be pie season quite yet, but this salted caramel apple casserole is a great segue. 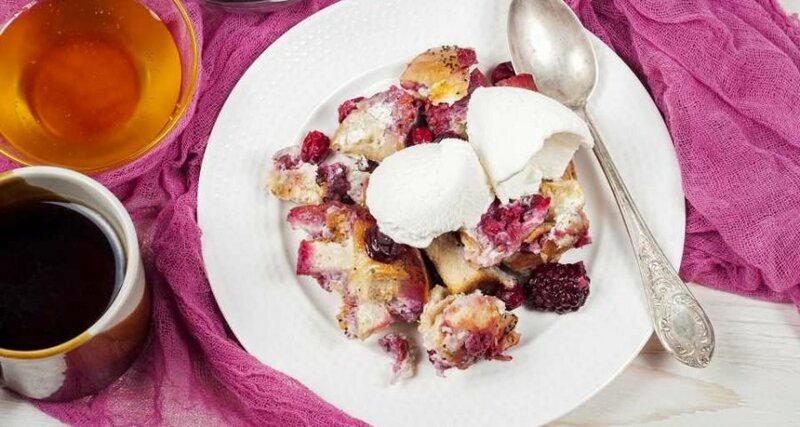 This French toast casserole is barebones, so feel free to dress it up by serving fun toppings on the side. Our favorites? Fresh fruit, maple syrup and your favorite jam or preserve. This crème brûlée French toast may look simple, but it’s got layers and layers of flavor baked in. 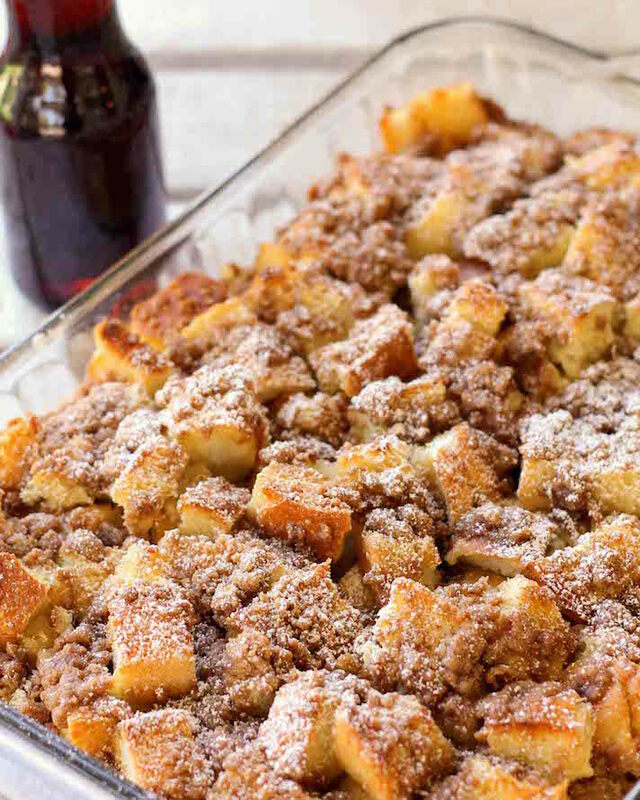 If you’re torn between coffee cake and French toast, this casserole is a perfect hybrid of the two. 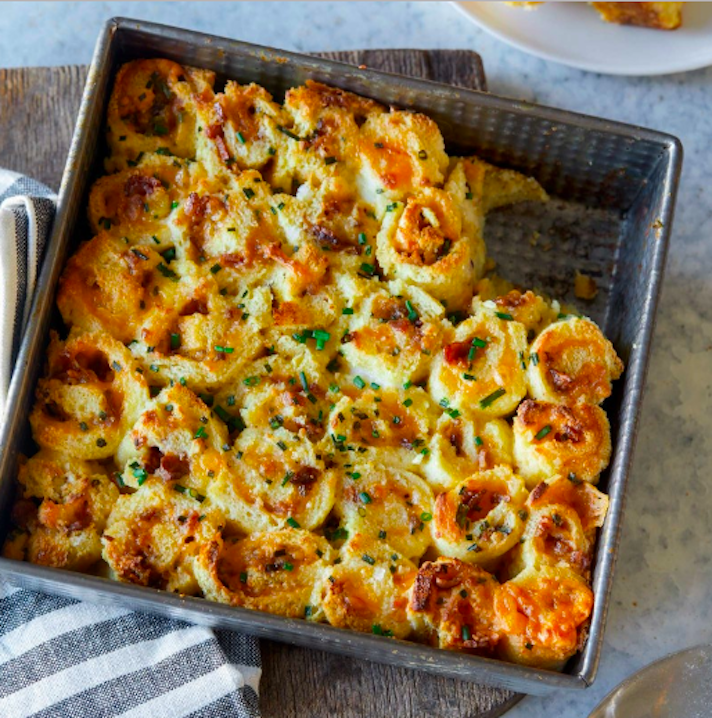 Frittata lovers, this is the French toast bake for you. 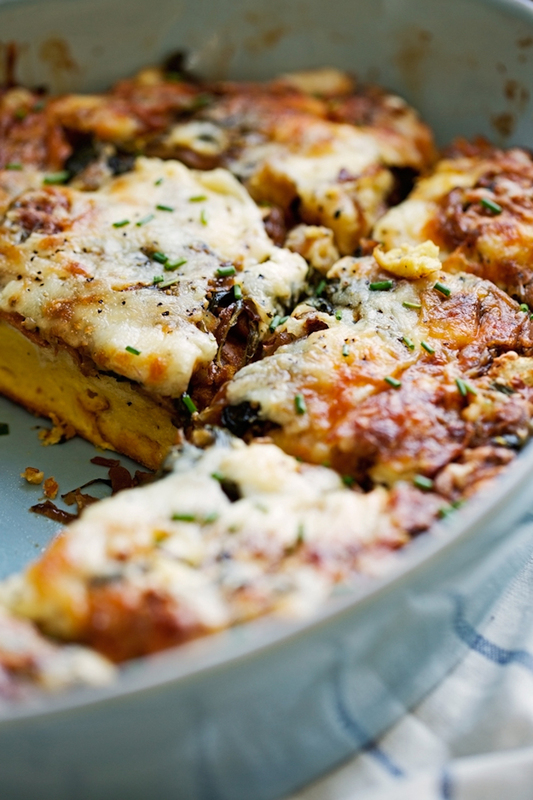 It has all the savory deliciousness of a frittata and the sweet caramelized onion adds the perfect amount of sweetness.